Here’s the video from Google introducing the new service. 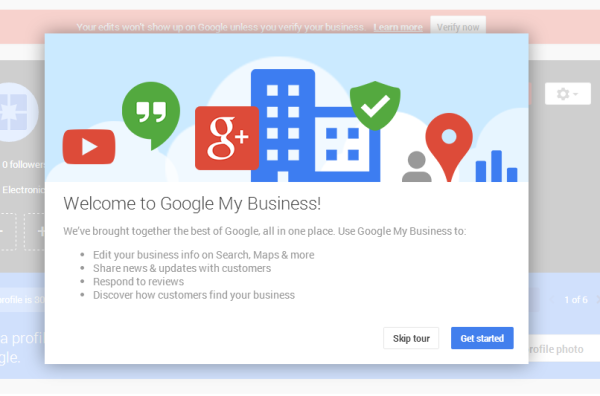 Through Google My Business, your dentistry will gain visibility on Search, Maps, and Google+ across all devices. These are all very important channels for getting dental patients online. Google My Business will help you interact with your followers on Google+ by sharing useful content and updates about your dental office. You can introduce new products and services to your followers on Google+. You can also run promotions and giveaways to get more appointments and referrals. The analytics feature inside Google My Business helps you understand how visitors are finding you on maps, search and Google+, what content is being viewed the most and how many visitors your dentistry profile is attracting. This will help you optimize and improve the performance of your clinic’s Google+ profile. Online patient reviews are very important to the success of your dental marketing efforts. Patients trust what other patients have to say about your practice. Google My Business makes it easier to manage patient feedback, request reviews from new patients and respond to negative reviews left by unhappy patients. Google Hangouts is a cool video chat feature introduced in Google+ but you can now access it directly from the Google My Business dashboard. Hangouts can help you interact with patients online to discuss various procedures offered by your dental office. You can also use Hangouts to educate patients about oral hygiene and how to prevent tooth decay through regular dental checkups. As more people turn online to educate themselves about various dental procedures and to find a local dental care provider, you have to ensure that your dental office is not left behind. If you need help with setting up or managing your Google My Business, just submit a free consultation request and we will get back to you asap!